A quick note before we get started — tomorrow sees the return of our combine live blogs. During every session I’ll be posting live updates on the workouts as they happen. Then at the end of each day (Friday-to-Monday) I’ll write a review piece. Also this year Brandan Schulze and I will be recording a daily reaction podcast at the end of each workout. There’s loads going on so keep checking the blog and join in via the comments section. Now for some thoughts on the measurements so far. This includes the QB’s, WR’s, RB’s, TE’s and OL’s. Will Dissly is 6-4 and 265lbs. The Seahawks drafted him predominantly for his blocking. They also liked Nick Vannett for his ability to act as a Y-TE. Vannett was also listed at 6-6 and 257lbs at his combine. There’s a chance the Seahawks will draft a tight end at some point this year. Dissly is returning from a serious knee injury, Vannett is a free agent after the 2019 season and Ed Dickson is a veteran stopgap. If they’re looking for more size and power to help with their physical offense — several names stand out. We noted Trevon Wesco and Drew Sample in our big combine preview earlier this week. Wesco is pushing 6-4 and 267lbs (very similar to Dissly) with 34.5 inch arms and a massive 81.5 inch wingspan. He’s a good blocker on tape and looked the part of a possible Seahawks tight. Everything fits in that regard — tape, size, length. Let’s see if he can add a decent short shuttle (also important) to the list of reasons why he might be on Seattle’s radar. Sample also measured well at nearly 6-5, 255lbs and 34.5 inch arms. He’s an incredibly well-rounded tight end who boosted his stock at the Senior Bowl with a strong display all week. Two other names stood out. Kendall Blanton at Missouri is 6-6, 262lbs with big hands, 33.5 inch arms and nearly a 82 inch wingspan. Zach Gentry is even bigger at 6-8, 265 and 34 1/8 inch arms. I’ve long seen Irv Smith Jr. as basically a ‘big slot receiver’. Nothing changed after his weigh-in today. He’s 6-2 and 242lbs with only 31.5 inch arms and a 75 inch wingspan. These are not impressive numbers if you want to use him as a blocker. He’s not expected to run a particularly good forty time either. The recent photos of Metcalf in the gym made him look like he was auditioning for a part in the next Marvel movie. You’d have been forgiven for mistaking him for a defensive lineman. He actually weighed in at just 228lbs. It’s big for a receiver but maybe suggests the circulated photo was a little misleading. Metcalf is possibly the most boom-or-bust player in the draft. He’s clearly fantastically gifted in terms of a physical profile. He’s also 6-4 in height, has 35 inch arms and 10 inch hands. He has a frame reminiscent of Calvin Johnson. He’s also expected to have a superb workout. There are also medical concerns about his neck injury and his tape mixed dynamic downfield grabs with a limited route tree, concentration drops and an inability at times to make the most of his size. He does have a freaky frame though and if he lasts into range for the Seahawks they may consider him. He’ll need to run in the 4.4’s if history is an indicator on what they want in a receiver — big or small. It’ll also be interesting to see Travis Fulgham and Jazz Ferguson workout. Fulgham is 6-2 and 215lbs with 34 inch arms. Ferguson is nearly 6-5, 227lbs and with an 82.5 inch wingspan. Again — keep an eye on the forty time. If they crack the 4.4’s they could be under consideration for a Seahawks team that has consistently sought speed at receiver. The Seahawks have a type at running back. They like explosive traits, they prefer the size to be between 5-10 and 6-0 in height and about 220lbs. Several players fit into the size category — Qadree Ollison, LJ Scott, Alex Barnes, Rodney Anderson, Benny Snell Jr, David Montgomery, Alexander Mattison, Josh Jacobs, Ryquell Armstead, Damien Harris and Elijah Holyfield. Running style also matters and it’s why I think players like Mattison, Anderson and Armstead in particular might be coveted. We’ll see how they test tomorrow (although Anderson isn’t working out as he recovers from a knee injury). Jawann Taylor is 6-5 and 312lbs with 35 1/8 inch arms and nearly an 85-inch wingspan. He was already being touted as a top-10 pick. He’s a good workout away from possibly confirming that. Greg Little’s stock has levelled out a bit and I thought he would be best suited moving inside to guard. However, with a 6-5 and 310lbs frame plus an 85-inch wingspan — that’s left tackle size. 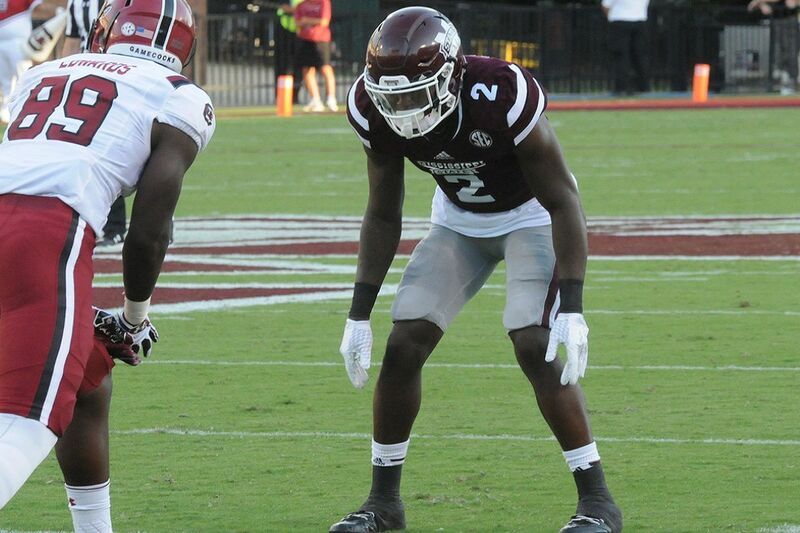 Isaiah Prince could be a sleeper to keep an eye on. He’s 6-6 and 305lbs with 35.5 inch arms and an 84.5 inch wingspan. He’s good enough to get a crack to start at the next level. Martez Ivey was a big name recruit back in the day. He’s 6-5 and 315lbs with 36 2/8 inch arms and an 86 2/8 inch wingspan. You can work with a frame like that. Dalton Risner divides opinion but two things are clear — he seems like a great guy based on interviews and he has decent size at 6-5, 312lbs and 34-inch arms. Oklahoma’s Dru Samia, Ben Powers and Bobby Evans all look the part and as a collective group looked great the last couple of years. Mike Jordan was impressive at 6-6, 312lbs, 34 2/8 inch arms and an 83-inch wingspan. Mitch Hyatt will get an opportunity to start at tackle or guard at 6-5 3/8, 303lbs and 34 1/8 arms. Chuma Edoga, Elgton Jenkins, Tytus Howard, Connor McGoven, Cody Ford, Chris Lindstrom, Donnell Greene and several others all measured well. Kaleb McGary surprisingly saw his arm length and wingspan drop considerably from the Senior Bowl. He’s 6-7 and 317lbs but has 32 7/8 inch arms and a 79 6/8 inch wingspan. 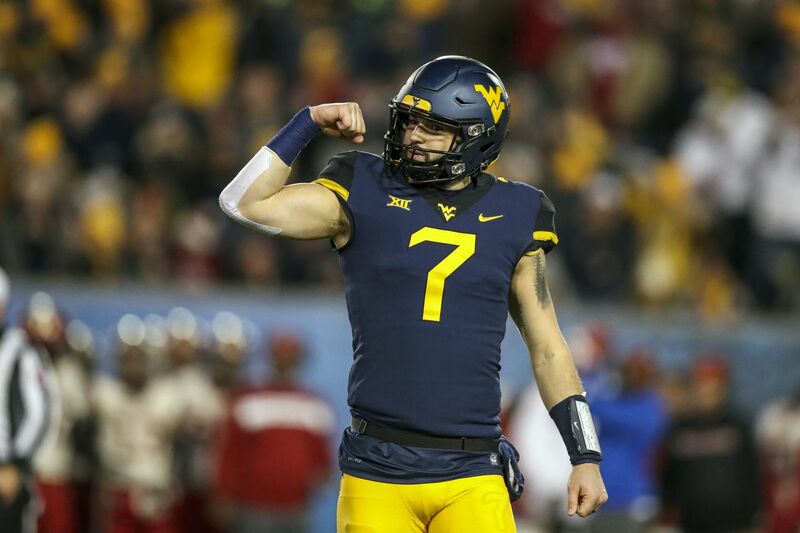 Will Grier rated highly by the league? The two players we’ve focused on at quarterback are Kyler Murray and Will Grier. With good reason. It’s backed up by this article looking at a formula that predicts future NFL success. Russell Wilson is at the top of the leader board. Murray and Grier would come in just behind him. I thought this was a well put together mock draft from Pete Schrager with only a couple of minor quibbles (eg Nasir Adderley in round one). It’s interesting that he notes the league is higher on Grier than the media and he believes he could be a first round pick. This isn’t a surprise. I’m not sure if the Dallas game clouded a few opinions — but the O-line took a major step forward in 2018. Keeping D.J. Fluker and J.R. Sweezy should be a priority and Carroll stated as much today. He also spoke highly of Delano Hill and said he wants to limit the number of explosive plays conceded on defense. For the last few years we’ve used a formula called TEF to measure explosive physical traits. It proved to be an accurate way of predicting which offensive linemen the Seahawks might be targeting. In light of Tom Cable’s departure after the 2017 season (due to his influence on the system) it’s unclear if it’ll be quite as useful in the future. Either way, it’s still a good way to compare the offensive and defensive linemen and measure explosive physical traits. Every time a ball is snapped to start a play there is a critical element of explosiveness that takes place. When two players collide in an attempt to physically dominate each other, the athlete with the edge in explosiveness has the best chance to win the confrontation. It could be a blocker vs. a tackler, a tackler vs. a ball carrier, or many other examples of winning at the point of contact. Explosiveness is defined in the dictionary as a violent release of energy, a sudden outburst. Football is a series of explosions. How do you measure it in athletes trying to play NFL football? Take the vertical jump, standing broad jump and the bench press test results and add them together. If the combined score is over 70 there is a reason to consider the candidate at some point in the draft process for his explosiveness. Kirwan’s formula is flawed because it diminishes the impact of the broad jump. A superb 9-7 only achieves a 1.2 point advantage over a below par 8-5. That’s why TEF was created — to do what Kirwan intended and measure explosive traits equally and emphasise their combined importance. TEF is not an attempt to determine who is a good or bad offensive linemen. It’s merely a calculation to judge explosive traits. And while that’s only one part of any evaluation — it’s still a vital part of analysing a prospect or draft class. A year ago, seven offensive linemen scored an optimal 3.00 or higher in TEF. Of the seven, Quenton Nelson and Kolton Miller were both high first round picks. Braden Smith, Connor Williams and Will Hernandez were second round picks. For more on TEF, including a breakdown of the calculation, click here. For a long time we’ve been discussing the league-wide problem of the athletic discrepancy between college O-lines and D-lines. At the last three combines there were a total of 78 ‘explosive’ defensive linemen (explosive = a score of 3.00 or higher). In comparison, there were only 16 explosive offensive linemen. This is a big problem for the NFL. Those numbers will likely be even more skewed after the 2019 combine due to the strength of the D-line class. The mirror drill. Two linemen stand opposite each other, with one acting as ‘the rabbit’. He’ll move around and change direction and it’s up to the participant to stick. It’s an important test of footwork, agility, mobility, balance, control and stamina. It’s also a good gauge of pass protection skills. Germain Ifedi boosted his stock in 2016 when he performed well in this drill working opposite Laremy Tunsil. There isn’t an offensive tackle worthy of a top-five pick. Just like a year ago, we could see the perceived ‘best’ lineman go early (Mike McGlinchey was the #10 pick). The favourite at the moment is Jawaan Taylor at Florida although Andre Dillard at Washington State could jump to OT1 with a good combine. Day two (rounds 2-3) should provide plenty of O-line value with a cluster of good guards and athletic tackles likely to be available. Much depends on the future of D.J. Fluker and J.R. Sweezy — both free agents. Germain Ifedi and George Fant are also free agents in 2020. An O-line pick is very possible at some stage. They drafted Prosise, Carson and Penny. They eventually added Bo Scarborough during the season. There are a lot more names in the 2018 list because it was such a strong running back class. Usually their ‘type’ at running back is in relatively short supply. That wasn’t the case a year ago. The Seahawks might not draft another running back this year but we should be able to identify which players they’ll like. The Seahawks preferred explosive traits over straight line speed prior to the 2018 draft. Christine Michael (4.54), C.J. Prosise (4.48), Robert Turbin (4.50) and Chris Carson (4.58) were explosive rather than fast. Rashaad Penny wasn’t quite as explosive but ran a 4.46. It’s probably not a major shift in terms of the type of player they like but it’s still worth noting. The footage will be limited but absolutely it’s the coverage of the vertical and broad jump. Explosive traits are key. It’s nice to see the running backs cutting against pads while showing body control and quickness in the open field. Explosive power and the ability to run through contact is vital at the next level, however. How many players fit Seattle’s prototype? That’s really the only question that matters. The Seahawks haven’t really strayed and gone after smaller, niche running backs. They like explosive power and physicality. Damien Harris and Rodney Anderson are former SPARQ stars and fit the size profile too. Mike Weber at Ohio State is expected to test well. Anderson likely would’ve been a top-25 pick had he not suffered a knee injury during the season. There’s nowhere near the positional depth we saw a year ago but there should be nice options in days 2-3. A year ago I wrote, “simply put, they have to tap into this running back class“. That’s not the case in 2019. The only question mark is whether they keep Mike Davis. If they do, they’re loaded at the position and might ignore it altogether. That said, they still drafted Christine Michael and Robert Turbin with a healthy Marshawn Lynch on the roster. Pete Carroll collected 5-star runners at USC. So if the right player is available, they could strike. For the last few years we haven’t had to pay much attention to the quarterbacks. This year is different. With Russell Wilson’s contract situation set to dominate the headlines this off-season (and possibly beyond) — there’s a distinct possibility they’ll draft a QB. They have to start planning ahead. This is going to be an extremely difficult and aggressive negotiation. Preparing for the worst-case scenario — life without Wilson — is essential. It’s difficult to work out who they might be interested in. After all, look at the starting QB’s Pete Carroll has used so far — Matt Hasselbeck, Tarvaris Jackson, Charlie Whitehurst and Russell Wilson. There’s very little consistency there. Downfield throwing seems to be vital though. We know Carroll values explosive plays. Wilson in particular is an exceptional downfield thrower. Whitehurst struggled in Seattle but had the arm strength. That’s likely what convinced them to spend a third round pick to acquire him in 2010. Grier was once again tremendous for the Mountaineers in 2018, finishing the year as the nation’s third-highest graded quarterback. He let it rip with the best of them, sprinkling in deep shots with great accuracy just as quick as he’d hit a crosser over the middle or perfectly lead his targets away from coverage with relative ease. In total, he averaged the fourth-highest yards per attempt at 9.7 while throwing more deep pass touchdowns than any other FBS QB with 20. He goes down as arguably the best deep-ball thrower over the past two seasons as he’s thrown for more yards (2,850), more touchdowns (36) and more big-time throws (54) on passes targeted at least 20 yards downfield than any other quarterback since 2017. Grier does lose velocity on some deep throws due to suspect mechanics. It’ll be interesting to see how he throws downfield at the combine. The Seahawks have only drafted two quarterbacks in the Pete Carroll era — Russell Wilson (third round, 2012) and Alex McGough (seventh round, 2018). Everyone wants to see the top QB’s throw the deep ball. That’s basically why they’re there apart from the medicals and interviews. They’re not facing a defense. They’re just standing in shorts and throwing the football. The only real reason to watch the drills is to see which players stand out throwing downfield with power and precision with reasonable mechanics. Kyler Murray, for me, is the most talented player in the entire draft and a worthy selection with the #1 overall pick. After that, the chances are teams will over-draft Dwayne Haskins and Drew Lock in the top-15. Both are talented players but appear to be a significant notch below Murray and the top four from 2018 (Darnold, Allen, Mayfield, Rosen). Will Grier, Daniel Jones and Ryan Finley will likely be drafted in the top-100 picks. It’s not a horrendous quarterback class but it lacks the kind of clear top-10 talents that defined the 2018 group. Not everyone will agree but it’s of massive importance. If you actually sit down and properly consider the dilemma over Wilson’s contract, it’s a no-brainer to consider drafting a quarterback early this year. That doesn’t mean you take any player for the sake of it. You have to clearly identify a player you believe can be a future starter. In Murray and Grier, there are two candidates who fit Seattle in terms of their ability to throw downfield and produce in a big way in college. They might not draft a QB with their top pick in 2019 but they could spend a day two pick on the position as insurance for the future. Pete Carroll has only drafted two receivers who haven’t run a 4.4 forty or faster (Kenny Lawler 4.64, Chris Harper 4.50). Paul Richardson (4.40), Golden Tate (4.42), Tyler Lockett (4.40), Kris Durham (4.46), Kevin Norwood (4.48), Amara Darboh (4.45) and David Moore (4.42) all cracked the 4.4’s. Kris Durham (216lbs), Chris Harper (229lbs), Kenny Lawler (203lbs), Amara Darboh (214lbs) and David Moore (219lbs) were all +200lbs. Richardson, Tate and Lockett — the three most productive players — were smaller. This really tells us two things. One — the Seahawks value speed and suddenness at the position even if you’re a ‘bigger’ receiver. Two — they’ve had greater success with smaller receivers since drafting Russell Wilson. The entire NFL is seeing a shift towards speed and suddenness over pure size. The 2019 draft class is rich in players with great size who struggle to separate. You’ll have seen plenty of mock drafts listing N’Keal Harry, Kelvin Harmon and Hakeem Butler in the top-50. None of the three create consistent separation and rely on contested catches. That’s fine in college but at the next level against superior defensive backs you win fewer of those battles. The ability to separate is vital. Watch the forty, the 10-yard split, the three-cone and short shuttle. It’ll provide a clear indication on which players have the quickness and agility to create openings. Carroll’s Seahawks don’t really have a ‘range’ where they take receivers. They’ve drafted two players in round two (Richardson, Tate), two in round three (Darboh, Lockett), three in round four (Norwood, Harper, Durham) and two in round seven (Moore, Lawler). They traded a first round pick for Percy Harvin. They’ve also had a degree of success with UDFA’s. The best non-FA athlete Seattle has acquired in the Carroll era was an UDFA — Ricardo Lockette. He ran a 4.41, had a 39-inch vertical and a 6.76 three-cone. He was also well-sized at 211lbs with 33.5-inch arms. The Seahawks have been comfortable bringing in high-ceiling UDFA receivers, finding success with Lockette, Doug Baldwin and Jermaine Kearse. Any drill that clearly shows the receiver’s catching technique. It’s extremely important. You want to see a wide out cupping his hands while presenting them to the ball. No alligator arms, no fighting the ball or snatching at it. Watch the downfield throws too and see who is good at high pointing the football, showing body control. Who is a natural hands catcher? There isn’t a clear top-10 pick among the group but there’s nice depth overall. D.K. Metcalf has the physical profile to blow-up the combine but there are concerns about his WWE body and serious neck injury sustained at Ole Miss. Parris Campbell and Terry McLaurin will have amazing workouts. Marquise Brown sadly won’t perform due to a lisfranc injury. Deebo Samuel had a terrific Senior Bowl but needs to allay some concerns about his actual speed. Emmanuel Hall is a burner and he’s not the only one. It’s a shame the league has banned Preston Williams from competing. Perhaps the most intriguing thing with this group is the number of ‘big’ receivers. The ones who manage to run well (4.4’s preferably) will seriously help their stock. Seattle currently has Doug Baldwin (free agent after 2020), Tyler Lockett, Jaron Brown and Malik Turner under contract for 2019. David Moore is an exclusive rights free agent and the likes of Amara Darboh, Keenan Reynolds and Caleb Scott could be retained. It feels like they need one more quality target. Pete Carroll has often talked about landing a dynamic big receiver. This is a class full of big receivers. If any run in the 4.4’s — put them on the radar. Likewise, who are the sudden and speedy wide outs who can separate and get downfield to make explosive plays? 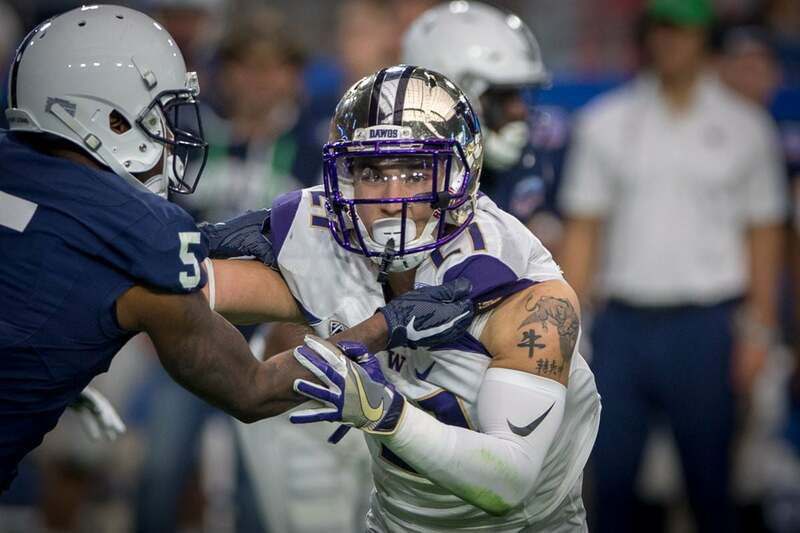 Seattle has drafted four tight ends under Pete Carroll — Nick Vannett, Luke Willson, Anthony McCoy and Will Dissly. Vannett and Dissly (the two remaining) were both considered throw-back Y-TE’s who can block. Willson ran a 4.51 at his pro-day with a 38-inch vertical. McCoy ran a 4.78 but was familiar with Carroll and had great size. All four players are quite different. This is one of the more unpredictable positions to judge for Seattle. They tried to turn Jimmy Graham into the ‘complete tight end’ but settled on making him a red zone machine in 2017. It feels like the Graham experience provided a lesson of sorts. The Dissly pick suggests they’ll stick to players more in the mould of Zach Miller than Jimmy Graham and that style fits Seattle’s preferred offensive identity (which they regained in 2018). It was suggested they really liked O.J. Howard. He had the top short shuttle in 2017 (4.16). He was also an excellent blocker to go with his high level of athleticism. So any player who blocks well and runs a good short-shuttle could be on their radar. In 2010 when Jimmy Graham was drafted in round three by the Saints — the following players left the board between pick #95 and Seattle’s next pick at #111: Everson Griffen, Alterraun Verner, Darrell Stuckey and Geno Atkins. The Seahawks took Kam Chancellor at #133. Reshad Jones (#163) and Antonio Brown (#195) were also day three picks. The 2010 draft had some depth. Like the receivers, check out the catching technique. Is he cupping his hands and showing to the football, or is he fighting the ball? T.J. Hockenson appears destined to be a top-10 pick and could be drafted by Jacksonville (#7), Detroit (#8), Buffalo (#9) or Denver (#10). For me he’s the second best offensive player in the class after Kyler Murray. There’s a big drop after Hockenson but as with the receiver and O-line units — there’s depth and value to be had on days 2-3. You’ve also got a good mix of blocking TE’s like Drew Sample and Trevon Wesco mixed in with some athletes and ‘big slot receivers’. There’s a bit of everything in this group. It could go either way. Will Dissly is recovering from a very serious knee injury and Nick Vannett is a free agent after the 2019 season. Ed Dickson is a veteran stop-gap. Are they comfortable rolling with this trio — especially seeing as the TE position in 2018 turned into George Fant acting as a sixth offensive lineman? Or do they need to add another TE to provide insurance against Dissly’s injury, Dickson’s injury history and Vannett’s expiring contract? 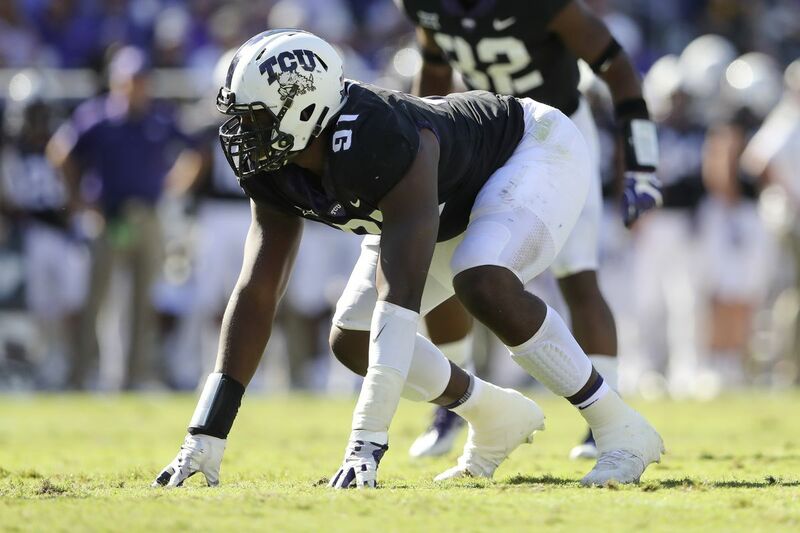 Can TCU’s L.J. Collier boost his stock at the combine? The Seahawks appear to have defined preferences at each of the different positions. For example, Seattle hasn’t drafted a defensive lineman or EDGE rusher with sub-33 inch arms. Rasheem Green, Quinton Jefferson, Jordan Hill, Jaye Howard and Malik McDowell all tested superbly in the short shuttle (4.39, 4.37, 4.51, 4.47 and 4.53 respectively). If they’re looking for a quicker, interior pass-rush or inside/out option — this drill appears to be significant. Twitchy athletes with great burst are their thing at DE/EDGE. The 10-yard split is clearly important. EDGE rushers Bruce Irvin and Cliff Avril ran 1.55 and 1.50 splits respectively. Anything in the 1.5’s is considered ‘elite’. If you’re looking for a possible LEO in this draft class then you need to be keeping an eye out for the 1.50-1.59 10-yard splits. The splits are also important for inside/out rushers or interior pass rushers. Frank Clark was considered more of an explosive inside/out rusher and he ran a 1.69 split at 271lbs. Malik McDowell managed the same 1.69 split at 295lbs. Rasheem Green ran a 1.65 at 275lbs. Look for any EDGE running a 1.5-split or any DE/DT running a 1.6. Bruce Irvin (4.03) and Frank Clark (4.05) both ran incredible short shuttles. Cassius Marsh’s 4.25 and Obum Gwacham’s 4.28 were also really good. There were serious concerns about Malik McDowell’s effort and attitude but he put on a show at the combine. He was 295lbs with great height (6-6) and length (35 inch arms) and ran a 4.85 with a 1.69 split. His three cone (4.53) was the same as Dalvin Cook’s. Every year the defensive linemen generally test well. It’s indicative of the way college football has gone. The top High School players want to play defense because that’s where the money is in the NFL and the stats/kudos/respect. It often means some exceptional combine performers last deep into the draft. We spent a lot of time in 2011 talking about Justin Houston as a possible LEO target. He lasted into round three. Two years ago Kansas State’s Jordan Willis had a fantastic workout and also lasted into round three. His 1.54 10-yard split was the best for a +250lbs player since Cliff Avril’s 1.50 (Avril was also a third round pick). A great combine for a pass rusher will not automatically mean they shoot into the early rounds. Miami defensive tackle Gerald Willis III is the brother of New York Giants safety Landon Collins. Just absorb everything. The D-line drills are the most entertaining, most fan-friendly of all the combine events. The bag drills, the swim/rip drills, the club, the working in space. It’s a real show of the most explosive athletes in college football competing in one venue. This is a D-line draft so enjoy. The D-liners will be the highlight of the combine. The 2019 class of defensive linemen has legendary potential. You’ve got a cluster of prospective top-10 picks. We could see as many as 10-12 first rounders from this group. The depth continues deep into days two and three. You also have every single type of player covered — nose tackles, dynamic interior rushers, speed rushers, prototype DE’s. Whatever you need it’s here. I could do a whole preview piece purely on the D-line class but here are a few highlights. I think Dexter Lawrence will run an outstanding forty time for his size (about 350lbs) and get people talking. I think everyone will love Christian Wilkins — his personality and his workout. I think it’s going to be interesting to see which of the defensive ends can run in the elite 1.5’s for the 10-yard split (there could be a few this year). I want to see if L.J. Collier is enough of an athlete for Seattle. What kind of a tester is Dre’Mont Jones at Ohio State? Will Khalen Saunders do a back-flip? How big is Ed Oliver and can he, as expected, be one of the stars of the combine? Is Quinnen Williams a potential challenger to Nick Bosa to be the first D-liner drafted? Is Nick a better tester than Joey? Is Christian Miller going to workout? How much does Brian Burns truly weigh? Is Clelin Ferrell more explosive and quick than people are giving him credit for? Will Gerald Willis III run a fantastic short shuttle? Can Jachai Polite and Montez Sweat secure top-20 grades with a great workout and allay some concerns about their off-field personalities? You can easily make a compelling case that adding a pass rusher is Seattle’s top need this off-season. Of course it all depends on who they lose in free agency and the situation with Russell Wilson’s contract. Yet adding more support to Frank Clark and Jarran Reed is still essential. They’ve often tapped into the strength of a draft class and that could easily be the case again in 2019. However — there’s one thing to consider here. The Seahawks will trade down from #21. And if they drop into the 30’s or 40’s, there’s a chance they’ll move out of range for the best defensive linemen and into a range where O-line, receiver and possibly quarterback are greater strengths. With so much great D-line depth this year — are they prepared to wait until rounds 3-5 to add to the pass rush? Could they go in a different direction with their first pick after trading down? It’s possible but they could also take a pass rusher with their first pick as many are projecting. The Seahawks have drafted a collection of freakish athletes at linebacker since 2010. Kevin Pierre-Louis, Korey Toomer, Malcolm Smith and Eric Pinkins all ran between a 4.44 and a 4.51 in the forty. Pierre-Louis, Smith and Pinkins all jumped +39 inches in the vertical. Bobby Wagner was a 4.4 runner at his pro-day with a 39.5-inch vertical. Of the five players they’ve drafted with a +140 SPARQ score, Wagner, Pierre-Louis and Bruce Irvin are included. Speed (forty yard dash) and explosive traits (vertical, broad) appear to be preferred. That said, one of their big success stories since 2011 is K.J. Wright. He’s a 6-3, 246lbs bigger linebacker with incredible length (35 inch arms) but only 4.71 speed, a 34 inch vertical and a 10-0 broad. Wright might be the exception — a unique player with tremendous length and intensity. Two years ago Pete Carroll stated they needed to add some youth at the position. In the following two drafts the only linebacker they’ve selected is Shaquem Griffin. The 2017 and 2018 combine didn’t produce many exceptionally quick or unique athletes. With Wright now a free agent it’s highly possible they will review this position again depending on how the 2019 linebackers test at the combine. That exceptional workout belonged to Mychal Kendricks. That’s the type of athlete we need to be looking for if they’re ever going to draft a linebacker early. Kendricks’ forty time is the second fastest by a linebacker at the combine since 2010 (only topped by Shaquem Griffin’s 4.38). Bobby Wagner played 99.35% of the defensive snaps in 2016 and K.J. Wright played 97.41%. That led to Carroll’s comment about needing youth at the position to take some of the strain. Since then, Wagner tallied 93.08% of the snaps in 2017 and 93.34% in 2018. Wright had 87.07% in 2017 before missing most of 2018 through injury. It’s been clear for a while that they need some depth and help at the position. The short shuttle results. We highlighted two years ago how important it might be for the Seahawks. Quickness and change of direction is vital at linebacker but the Seahawks also seem to value straight-line speed. 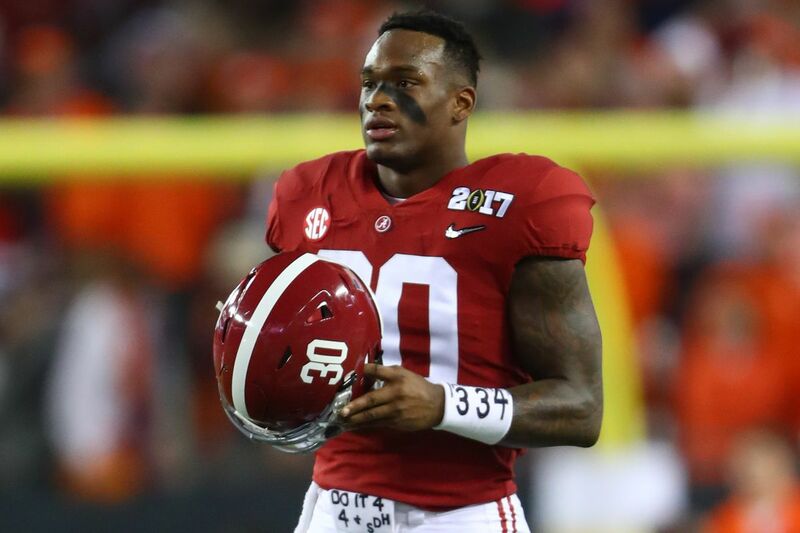 There are a cluster of names that could go in the first two rounds including Devin White, Devin Bush, Mack Wilson and Te’Von Coney. After that the depth is a little sparse. It’s been a long time since there’s been a really exciting linebacker class with top-level names and depth. Alabama’s Wilson is a player I’m keen to see at the combine. He was often used as a safety by Alabama on key-passing downs. That’s how highly they rated him in coverage. I watched his Rivals High School footage a few days ago and even prior to joining Alabama it was clear he had a special ability to move in space with his size and cover. Having said that I was a bit disappointed with his 2018 tape. Can he run as well as Bush and White to secure a first round grade? Terrill Hanks and Bobby Okereke have incredibly long arms like K.J. Wright. If they test well they could be on Seattle’s radar. It gets more important every year. K.J. Wright could be set to depart in free agency and who knows what the future holds for Mychal Kendricks. Bobby Wagner is a free agent after the 2019 season. They need to add some young talent to the position one way or another. The 2017 cornerback class was the talk of the town. The 2018 group was the complete opposite. The combine workout for last years CB’s was one of the most boring, uninspiring sessions I’ve witnessed in a decade of writing this blog. The length of the workouts didn’t help — they seemed to go on forever in part because so many players had to re-start their drills. Let’s hope it’s a much improved 2019 performance but the early signs aren’t great. It does not look like a strong cornerback class. By now everyone knows what the Seahawks like in a corner. Every CB drafted in the Pete Carroll era has had 32 inch arms. Those players are generally physical and tall and take pride in defending the run. A year ago we highlighted Tre Flowers as a possible target and mocked him to Seattle in many of our seven-round projections — simply because he looked like a prototype Seahawks corner at the combine. It was clear and obvious. In 2017 they drafted Shaq Griffin in round three. He has 32 3/8 inch arms but only a 74 3/4 inch wingspan so this was quite a difference compared to some of the other corners. Griffin lacks the kind of length they usually go for at the position. Why is length so important? 100% of multiple first team All-Pro cornerbacks drafted since 1998 have +32 inch arms. If a great time is a 4.2, it’s fair to assume anything quicker than a 4.00 is exceptional. The Seahawks drafted Smith and signed Elliott. Short-area quickness and great length is a rare combination so any possible day three prospects with these physical traits will likely be on the radar. Speed previously didn’t appear to be crucial but it might’ve been the difference for Shaq Griffin. Five of Seattle’s six drafted cornerbacks before 2017 ran between a 4.47 and a 4.56 in the forty yard dash. Griffin ran a 4.38 and they drafted him earlier than any other cornerback in the Pete Carroll era. The backpedal drill. Watch to see how the cornerback transitions and whether it’s effortless. Do they have loose hips and do they explode out of their break? Is their footwork smooth or clunky? Are they laboured in any way or does it just look natural? Many of the big names are a bit overrated and it’s very difficult to get excited about any of the 2019 cornerbacks in round one. It feels like a year where you identify a collection of CB’s who fit your scheme and you find a range to add one and make do. It’s not a year to chase after the position in round one unless you really believe in a player like Greedy Williams. As usual for the Seahawks — look for the 32-inch armed prospects with decent height and watch how they test. Write down the names and find out how they tackle. You might discover the next player they draft on day three. There are two aspects to this. Firstly, they could do with adding some competition for Shaquille Griffin and Tre Flowers. The depth at the position is pretty suspect and needs replenishing. Secondly, do they intend to re-sign Justin Coleman? If they lose Coleman they could be on the lookout for a dynamic slot corner. This means a very different physical profile. Coleman was only 5-11 and 185lbs at his combine with 31 1/4 inch arms. He did, however, run a blistering short shuttle (3.98) and jumped a 37.5 inch vertical. After hitting on Earl Thomas and Kam Chancellor in 2010, Seattle hasn’t had much success drafting for the safety position. Ryan Murphy, Winston Guy and Mark LeGree have come and gone. The jury’s still out on Tedric Thompson and Delano Hill (although Hill finished the 2018 season strongly). There’s a real mix of physical profiles in the players they’ve taken, making it a difficult position to project. Thomas (31 1/4) and Legree (30 1/4) have short arms so the 32-inch test isn’t necessary here but Guy had great arm length (33). Murphy ran a 4.48 at his pro-day with an impressive 39-inch vertical but Legree (4.59) and Guy (4.70) didn’t run fast times (Legree only had a 31-inch vertical too). Hill ran a 4.47 but Thompson managed only a 4.60. Overall it’s hard to determine a Seahawks ‘type’ with these numbers. The only safety they’ve drafted in the first two rounds (Earl Thomas) is a tremendous athlete. He ran a 4.37 at his pro-day after pulling a hamstring running the forty at the combine (while still managing an official 4.49). We talk a lot about speed at safety because of Earl Thomas but the results here tend to suggest a couple of possibilities. Either speed isn’t as important as some people think to be a great safety or it’s indicative of a lack of quality safety’s currently in the NFL. Both might be true. Any of the drills requiring the safety’s to close in space and show off their open-field quickness and range. It’s difficult to make a case for any safety deserving to be drafted in round one. Taylor Rapp and Jonathan Abram are the most likely players to land in the top-40. Rapp should test very well in the short shuttle. If he runs in the low 4.5’s he could very easily find himself in the first frame. Deionte Thompson and Nasir Adderley have been hyped up unfairly. USC’s Marvell Tell is one to watch as a possible safety/corner convert project. It’s not a great safety class. The Seahawks appear to like their existing safety’s more than the fans and media. Bradley McDougald has developed into a crucial starter. They seem to really rate Delano Hill and like Tedric Thompson’s potential. They traded for Shalom Luani during the season. It’s very possible they add to the position but it seems unlikely to be a high pick. Russell Wilson, according to Colin Cowherd, fancies a trade to the New York Giants. I bet he’d like a nice, new, league-leading contract extension even more. On January 25th I wrote a piece titled: ‘The Russell Wilson contract saga is coming‘. It was an attempt to preempt what was to follow. This is what we’re seeing again. Prior to the Super Bowl, Adam Schefter touted a slice of non-news about the lack of talks between the Seahawks and Wilson. Now the talk in the ‘agent world’ is Wilson wants to move New York because of Ciara and stuff. Within the next few weeks we’ll probably hear from Wilson’s agent directly. Mark Rodgers will appear on a radio show or podcast. Just like last time. It’s all posturing. The media speculation and future articles. The tweets and radio appearances. It’s all an attempt at a public negotiation. Apply a bit of pressure. Lean on fan reactions. Keep this topic in the media. None of it matters really. Take this Giants scenario for example. They’d have to be willing to give up a kings ransom for this to be possible. Three first round picks might not even be enough. Then they’d have to be willing to pay Wilson an enormous contract — one that would likely have to be agreed before any trade is finalised (not easy). The Seahawks would have to be willing and prepared to do the deal and would need a realistic solution at quarterback. Acquiring the #6 overall pick might not be anything like enough to make this attractive. Are you guaranteed to get one of the two best 2019 QB’s at #6? No. So a deal with the Giants has so many hurdles to clear. — Kirk Cousins’ use of the franchise tag has changed the NFL indefinitely. Most players don’t fear the tag any more. They’re embracing it. Cousins has made a lot more money than Wilson because he milked the tag and became a free agent. Wilson can rightly ask for what he’s due on the tag — $110m guaranteed between 2020-22. I think it’s fair to suggest the Seahawks are unlikely to grant that request. — How willing is Russell Wilson to compromise on a deal with Seattle? And how can the Seahawks gain any leverage in these talks when they’re competing against the tag? — The Seahawks have to start planning for the worst case scenario. They need to draft a quarterback to develop as a potential replacement. If they have to trade Wilson because an extension isn’t possible, they need to be prepared and ready — whether that’s this year, next year or in 2021. You plan now, not after the deal. — Any outcome is possible so start to embrace it. This will be a highly aggressive, hostile business negotiation. The Seahawks might have to look at their options. Hopefully it doesn’t come to the point where a trade is necessary. Is it possible though? Yes. But so is an extension or Wilson playing on the tag. Yet we’ll see more of this talk in the media. More speculation. It appears keeping this ‘story’ in the media will be an objective for Wilson’s party. This topic will dominate the off-season and possibly next off-season too. It’s not going anywhere. It’s a major conundrum for the team to solve. I wrote this piece about the Seahawks and Will Grier in January and this piece about Kyler Murray in December. They might draft a quarterback early this year. It might not be their first pick but it certainly could be at some point on day two. This was an easy one to list at the top. The Seahawks have only 47 players contracted for 2019. They have numerous out of contract starters and several restricted and exclusive rights free agents. Some players are destined to move on. Earl Thomas’ time in Seattle is over. K.J. Wright will likely get a big offer in free agency. Frank Clark, J.R. Sweezy, D.J. Fluker, Justin Coleman and a few others are more likely to remain. Seattle has a developing roster ready to play competitive football. Major changes won’t be healthy — especially with limited cap space and only four draft picks. They also need to look ahead. If Clark receives the franchise tag that’ll mean four stars — Clark, Russell Wilson, Bobby Wagner and Jarran Reed — will all be out of contract after the 2019 season. With only one franchise tag, that could spell trouble. Seattle’s clear #1 priority this off-season is to keep the core together and make sure they don’t go into the 2020 off-season with a major dilemma on their hands. This has been a question mark for three straight years in Seattle. For a team that wants to play things tight and highlight the importance of a closed circle between offense, defense and special teams — they need a reliable kicker. It’s time to make this a secure position. No more messing about. Get the money out and go and land Robbie Gould from the 49ers (if they don’t franchise him). He’s been a highly consistent and reliable kicker for years. It’s time to pay a bit more than they’ve previously been willing to get this problem solved. If Gould isn’t available, Stephen Gostkowski and Matt Bryant are alternative options. Despite suggestions to the contrary, the Seahawks won’t have the money to go on a big splurge this off-season. Frank Clark is going to eat up $18m in cap space alone. They need to re-sign multiple free agents and fill out the roster. They won’t be in the running for a prime free agent pass rusher. They need to look for value and provide a partner for Clark. Anthony Barr could be the man to target. His career stalled as a linebacker at Minnesota. Thus, he might be facing a slightly cooler market. Does he need to go somewhere for a year and rebuild his stock? Maybe. It’s equally possible he gets big money somewhere. He’s a great age and has a fantastic physical profile. If he does end up needing a one or two year prove-it deal, the Seahawks should be ready to get him. Failing that, go and get a veteran rusher like Terrell Suggs, Brandon Graham or Clay Matthews (again, if the price is right). McDaniel was often labelled the unsung hero of Seattle’s defense. His combination of stout run defense, toughness and consistency was unheralded but highly valuable. He cost $2.75m in 2014 and $985,000 in 2016. It’s difficult to suggest a name to be the 2019 version. There are always cheap run defenders on the market but very few are as effective as McDaniel. Darius Philon has a reputation for quality run defense but he’s nowhere near the size of McDaniel and the Chargers might pay to keep him after parting with Corey Liuget and Brandon Mebane. Reuniting with Mebane could be an option for a year if he wants to keep playing at 34. We talked a lot about Brent Urban on the blog when he was at Virginia and in 2018 he was finally healthy and had a good year. Adding him could be an option but can you trust him to play 12-16 games? Priority #5 — What are you doing at linebacker? This isn’t a higher priority because I think they’ll already have a plan. Mychal Kendricks’ court date has been pushed back but if he avoids jail he’s an obvious re-sign (and Pete Carroll has already talked about bringing him back). K.J. Wright will likely get a big offer in free agency — one the Seahawks won’t be able to match. They might need to add one more. I suspect they’ll have their house in order to plan and prepare for this. Thomas Davis could be an option if they need another veteran to cover the expected loss of Wright. Priority #6 — What are the O-line alternatives? For years the Seahawks tried to plug in young starters to the offensive line and it didn’t work. In 2018 they lined up a much more experienced line with Duane Brown, J.R. Sweezy, Justin Britt, D.J. Fluker and Germain Ifedi all boasting multiple seasons in the NFL. Sweezy and Fluker are now free agents. If either moves on, they’re probably best served replacing them with another veteran. Former Seahawk James Carpenter is a free agent and has enjoyed a healthy spell in New York with the Jets. Ty Sambrailo has been a disappointment so far but prior to the 2015 draft Tony Pauline noted the Seahawks had some interest in him. Ja’Wuan James is another player they seemingly liked prior to the 2014 draft. They’ll need alternatives even if it seems likely they’ll keep Sweezy and Fluker. For round one, click here. The Cardinals need O-line help and McGary’s stock is rising after a great combine. Baker is gritty but needs to track the ball better. Murphy is great value here. Abram is tough and physical and can help set the tone for the Niners. After taking a quarterback in round one, the Giants grab a starting right tackle. The Jaguars pursued TE’s a year ago and didn’t find a solution. Cornerback is a need for the Buccs. Mullen had a great Championship game. The Seahawks love traits and massive upside. The Broncos need a physical, agile safety and this is a great fit. The 49ers get this pick from the Bengals in the Kyler Murray trade, then send it to the Steelers for Antonio Brown. Collier is a fantastic talent and he’s rising after the Senior Bowl. His stock will rise even higher after the combine. He plays the run well and can get after the quarterback. Jones is a level down from the top-three quarterbacks in the draft. Even after extending Eric Reid’s contract, safety is a need for the Panthers. This is a bit high for me but some people think Risner will land in this range. I haven’t seen a better receiver when it comes to boxing out DB’s. They might lose Anthony Barr in free agency. He’s a good fit in the Patriots-style defense that Mike Vrabel uses. The Steelers are very good at finding value at wide receiver. He’s competitive and the bloodlines will boost his stock. He has an outstanding physical profile but is he more than just a great athlete? He had a great Senior Bowl and could be set for a major rise. A disappointing Senior Bowl drops him into the late second round. He would’ve been a top-25 pick without the knee injury. Tillery could replace the departing David Irving. The latest guy the Colts draft and a year later everyone says it was a huge steal. He’s inconsistent but will have a strong combine performance. He’s a big, powerful center who struggles a bit against quickness. If he really is 225-230lbs how do you justify taking him earlier than this? This would be great value and a great fit. He could play nickel corner or safety. 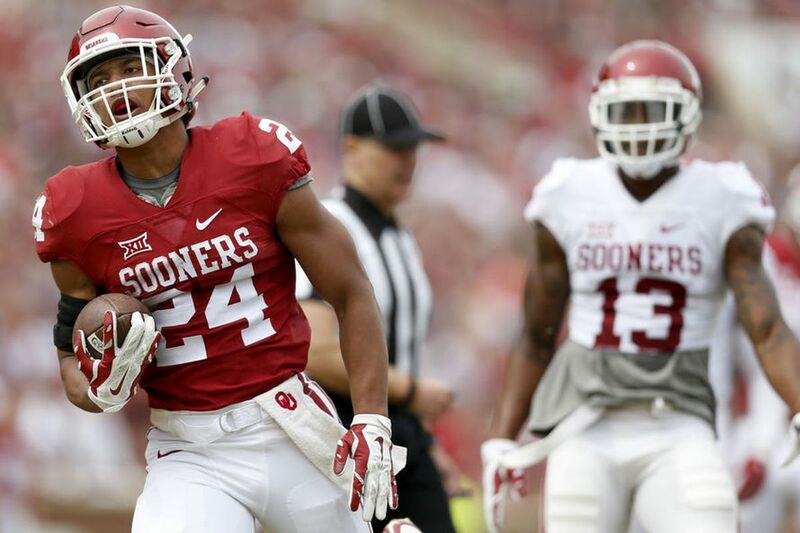 In round one we had the Bengals trading up to #2 to select Kyler Murray. As part of the deal, the 49ers collected Cincy’s second round pick (#42). In this projection, San Francisco sends that pick to the Steelers for wide receiver Antonio Brown. I have reservations about D.K. Metcalf. A lot of draft analysts, writers and bloggers are enamoured with his potential. I get that. He’s an incredible combination of size, speed and athleticism. Some have linked him to Josh Gordon and physically it’s not a bad comparison. There aren’t many human’s on the planet like Metcalf. On the field he looks like a developmental prospect. When he gets into stride and can run go-routes he builds up speed to create separation. He also does a good job creating a free-release and avoiding contact early in the route. However, his routes are occasionally lackadaisical and he had a high number of concentration drops. He ran a severely limited route-tree at Ole Miss and he doesn’t box-out like J.J. Arcega-Whiteside or compete for the ball in the air like you’d expect for a player with his frame. There’s also the neck injury. He’ll need to be thoroughly checked out at the combine. Is he a one-contract player who, not unfairly, doesn’t want to risk permanent injury? Or does he see a long career and is he determined to be the best in the league (which he could be with his profile)? If you draft him you’re banking on major potential. You use him immediately as a downfield threat and match-up weapon. Over time you hope he can turn into the #1 receiver he could be with the frame and athleticism. He’ll need work, though. The reason I have the Seahawks taking him is because they never settle on mediocre athletes in round one or with their first pick. There’s always something unique about the guy they select first. They’re prepared to gamble on upside. And Pete Carroll has been searching for a dynamic big receiver for a long time. That’s the projection in this mock. There are multiple other possibilities too. This is a wide open draft for the Seahawks with plenty of positional options with their first pick. Free agency and the combine will give us a clearer indication of what they might do. If this were to occur with their first pick, I would think Will Grier (QB, West Virginia) and a defensive linemen could be the targets in round three. If they keep the pick they might look for a dominating interior presence to pair with Chandler Jones. The Bengals are full of surprises this off-season and make a bold move to change the direction of the franchise. History repeats for the Jets. Sam Darnold fell to #3 a year ago. Now it’s Bosa. A former #1 national recruit — teams will love Gary’s upside and he’ll go very early. This feels a bit rich for me but Allen’s stock is trending up. The Giants draft Eli’s heir apparent. They’ll likely cut Marcell Dareus and Malik Jackson. Hockenson is the best offensive prospect in the draft after Kyler Murray. A consensus is building that Taylor will be the first tackle off the board. Joe Flacco is Alex Smith, Lock is Patrick Mahomes. Well, that’s what they’ll hope. The Niners get a cornerstone defender and leader. I’m uncomfortable dropping Ferrell this low but it’s how it played out. Reports say the Dolphins are prepared to tank in 2019 and build up the lines. Ed Oliver is a wonderful talent. But what’s his fit at the next level? I’m not sure he’ll go this early but Sweat has a lot of potential. He’s undersized but flies around and should have a great combine. Many believe Dillard to be the best pass-blocking tackle in the draft. It’s rare to find a player with Ford’s size, great feet and agility. Polite’s motor never stops and he could go earlier than this. Williams is slightly overrated and will last longer than people think. The Packers move up to get a much needed offensive lineman. Antonio’s cousin lands in the AFC North. I’ve not studied him yet but Williams is getting a lot of love. The Raiders need two things — pass rush and offensive playmakers. He’s the type of defensive linemen they add. The Colts need another weapon across from T.Y. Hilton. He’s a bigger version of Percy Harvin just not quite as sudden. He likely kicks inside to guard but has a shot at tackle. He didn’t have an amazing Senior Bowl but the raw talent is there. The Bills need to build around Josh Allen. The feeling is Bradbury will go in round one and this is a need for the Rams. We’ll see if the Pats want to pay Dont’a Hightower mega money in 2019. If the Cardinals aren’t going to take Kyler Murray (and they tweeted as much — how very 2019), there’s little pressure for teams to trade up to #1. They can trade with the Niners — a likely willing dealer. Here the Bengals move on from Andy Dalton and go get their future for the new offensive-minded Head Coach. The Packers and Seahawks made a deal a year ago and history repeats here. Green Bay has a need on the offensive line and at defensive end. They address both needs in this mock. The Seahawks are almost certain to trade down from #21. There’s a strong possibility the Seahawks will trade down multiple times with only four picks to spend. The Bills move up ten spots to land Jacobs knowing he wouldn’t last to #40. The two trades net Seattle an extra third, fourth and fifth round pick. Nothing has changed from the last mock. They move down twice — which feels possible. I’m not sure they’ll necessarily want to trade down this far (or get the opportunity to) but they need to acquire extra picks and their one real shot at doing that comes with the first pick. Pete Carroll said he didn’t see any glaring needs and I think that is something to note and remember. This is wide open. They could look at all sorts of options with the top pick — pass rusher, receiver, O-line, linebacker, quarterback. I wouldn’t rule anything out other than cornerback (because it’s the Carroll Seahawks). It’s been interesting to see L.J. Collier (DE, TCU) receive some top-50 chatter recently. I’m a big fan. He’s tough, physical, wins with speed and power, has fantastic arm length for his height and knows how to make the most of that advantage. He’ll likely need a good combine performance (10-yard split, agility testing) to warrant top-pick consideration for Seattle. Let’s see how he gets on. Terry McLaurin (WR, Ohio State) just screams Seahawks. His ability to get open, his willingness to block, his fantastic speed, his ability to compete for the ball and his special teams value tick a lot of boxes. Will Grier (QB, West Virginia) remains intriguing. His deep-throw quality is a great match for this offense. He has mechanical issues which could cause problems at the next level but as we’ve discussed a lot — the pending Russell Wilson contract saga could encourage them to add a developmental QB (possibly with a high pick). J.J. Arcega-Whiteside (WR, Stanford) is a touchdown machine and I’ve not seen a receiver as good as JJAW when it comes to boxing-out a defender to gain position to make a catch. He’s a red-zone terror and can win contested throws. Like a lot of the receivers in this class though he struggles to separate and I’m not sure you can take a prospect early if you’re banking on him being a red-zone threat primarily. D.K. Metcalf (WR, Ole Miss) is still on the board. His freakish athletic profile might have some appeal but he recently posted a picture on Twitter where he looks far too muscular. A lot of draft analysts have been drooling over Metcalf for months but aside from the prospective testing numbers I’m not sure why. He has way too many focus drops, had most of his success running go-routes, he’s a build-up-speed receiver not a guy who creates separation with a fantastic release and he doesn’t make the most of his size. He’s a developmental receiver who needs time — plus there’s the neck injury that needs checking out. Still, we know Carroll has been looking for a freaky big target for a long time. If they go O-line is it too early for Chris Lindstrom (G, Boston College) depending on how he tests and whether they’re able to re-sign J.R. Sweezy? Chuma Edoga (T, USC) could be a wildcard considering his sensational Senior Bowl, 5-star recruiting history and major potential. He looks like a rough diamond who needs polishing with star potential. There are other O-liners too — David Edwards at Wisconsin, Dalton Risner at Kansas State (I’m not a fan this early, later on maybe) and Kaleb McGary at Washington (he really improved his stock in Mobile) to name a few. There’s also defensive talent like D’Andre Walker (EDGE, Georgia), Christian Miller (EDGE, Alabama), Renell Wren (DT, Arizona State), Khalen Saunders (DT, Western Illinois) and others. The combine will give us a much clearer indication on who they might target. Here’s another 30 prospects summed up in a sentence. There’s a LOT to like — length, physical against the run, terrific looking frame, ability to play EDGE or linebacker and an excellent SPARQ workout (124.17). He’s very good after the catch, he makes spectacular grabs and he can high-point the football but he doesn’t separate and it’s a problem. A converted left tackle with quickness and great size but he drifts in and out of games and there are some character question marks. Terrific college speed rusher but he’s rumoured to only weigh about 225-230lbs and that’s not going to work at the next level. Rapp has fantastic short-area agility and he packs a punch as a hitter but he lacks top-end speed and is better suited to the big nickel or strong safety. An energetic, bombastic and tough-for-his-size nickel corner or safety who will gamble and take chances but also makes plays. Overrated during the season and simply a reasonable prospect who doesn’t make enough plays and he’ll go in rounds two or three. He looked like a guard convert at the start of the college season and nothing’s changed. I wanted to like him more than I do but he’s reasonable at everything — coverage, tackling and blitzing. Extremely solid and tough and could be the first safety drafted but athletic limitations may keep him out of round one. Exceptional in pass protection with an ideal frame plus an explosive physical profile. 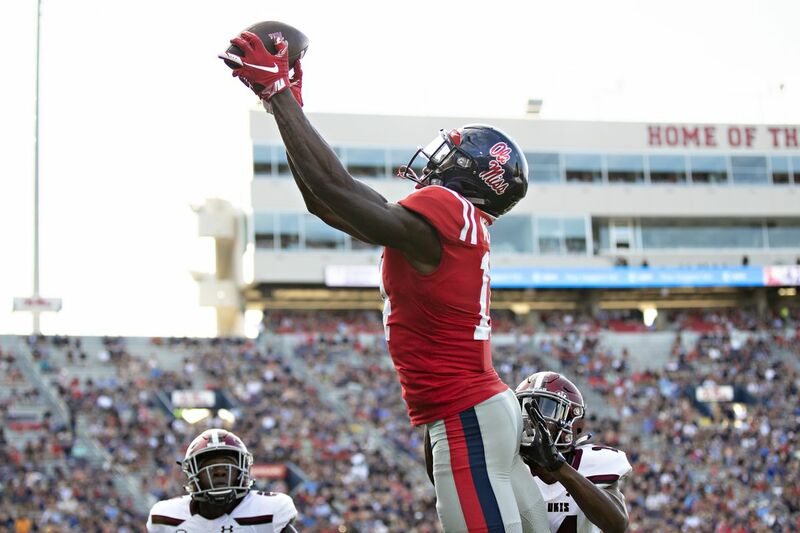 Probably the most talented receiver in the draft but character flags could make him an UDFA. Doesn’t possess T.J. Hockenson’s ‘wow’ factor but he makes difficult catches at every level and can contribute as a blocker. Medicals will determine his stock but he was outstanding at the Senior Bowl and his tape is generally good barring the occasional whiff (or two) per game. A former 5-star recruit who had a tremendous Senior Bowl and, considering his tape is also pretty good, he could be a big time riser by April. He moves well and he’s a fighter but he’ll need to test well given his lack of great size. A hernia injury will keep him out of the combine but he shouldn’t be forgotten as an extremely physical and quick EDGE who sets the tone. Saunders has a rare combination of massive size (320lbs) and freakish quickness/athleticism and his upside is enormous. Landon Collins’ brother has the agility (watch for his short shuttle) but lacks size and might have to settle as a situational interior rusher. Jenkins displayed great power and control at the Senior Bowl but he struggles against elite quickness and had a nightmare against Alabama and Quinnen Williams. Physically he has it all (6-5, 300lbs, 4.85 forty, 34.5 inch vertical) but his tape lurches between dominant and out of control. An absolute brute who loves a scrap and plays with genuine intensity at guard. At the Senior Bowl he was impressive and he has the size, length and character but his tape was a bit disappointing. There’s some potential here (evidenced by his Clemson tape) but there’s also a lot to make you think he’s more of a developmental QB than a first-round lock. During the season he was one of the better defensive ends in college football but his Senior Bowl was a let down and he desperately needs a good combine workout. If you want a tough, physical and consistent right tackle — consider drafting David Edwards. There might not be a more fun EDGE to watch in college football but it’s hard to see his next-level fit considering his physical profile. He has the size and length and had a really good Senior Bowl so deserves a bit more focus than he’s getting. In flashes you see talent and he has the size/length but he’s a level down compared to prospects like L.J. Collier for me. He’s got the arm strength but he’s difficult to judge because the Auburn coaches made every call for him and the offense consisted of deep shots and check downs. Would the Seahawks draft Jeffery Simmons? Yesterday it was revealed Jeffery Simmons has suffered a torn ACL. There’s a strong chance he’ll miss the entire 2019 season. Simmons already had baggage of course, relating to that video from High School. It was starting to feel, however, that teams were satisfied he’d made amends at Mississippi State and would be a high draft pick. 1. How likely is it Simmons will be available in that range? 2. Would they draft him? On the question of whether he’s likely to be available, Lance Zierlein says the people he’s spoken to in the league believe he’ll drop out of the first round. If teams had reservations about drafting Simmons due to the video, this could be the straw to break the camels back. — Cedric Ogbuehi tore his ACL while playing for Texas A&M in a Bowl game on 12th January, 2015. That’s exactly a month earlier than Simmons. He was still the 21st pick in the 2015 draft. — Todd Gurley tore his ACL in mid-November 2014. He was drafted 10th overall in the 2015 draft. — Tank Carradine tore his ACL on 25th November, 2012. He was drafted 40th overall in the 2013 draft. —- Sidney Jones tore an achilles on 11th March, 2017. He was drafted with the 43rd overall pick in the 2017 draft. — Jaylon Smith suffered a career-threatening knee injury on January 1st, 2016. He was taken with the #34 pick in the 2016 draft. — Myles Jack dropped from a likely top-10 range after it was discovered his knee could be degenerative. He was taken with the #36 pick in the 2016 draft. There are a mix of possibilities here. Unfortunately, there’s very little to give us a steer on his possible range. If a team really likes Simmons — as the Rams did with Gurley in 2015 — he could still be a high pick. His talent certainly warrants that level of faith. It’s possible he drops out of the top-20 but doesn’t fall much further — as we saw with Ogbuehi. Or he could drop into the early part of round two as we saw with Smith or Carradine. It’s practically impossible to say with any confidence which way it could go. Would the Seahawks draft him? If they trade down into the #25-40 range and he’s available it’s something they might consider. The thing is, it’s not something they’ve done before. In the nine drafts operated by Pete Carroll and John Schneider they haven’t spent a single pick on what amounts to an ‘injury redshirt’. The nearest thing was probably Jesse Williams in 2013. Even then, he dropped to round five due to concerns about his long-term health. He wasn’t recovering from an ACL. While other teams like Trent Baalke’s 49ers were happy to collect injured players who fell in the draft, the Seahawks looked for immediate competitors. Some of their picks have carried risk — whether that’s character or injury history. But none of their picks were players they knew wouldn’t be able to play football for over a year. The idea of adding a top-15 talent without needing a top-15 pick is appealing to an extent. The Seahawks are never going to get a player like Simmons when, on average, they have the #24 pick in the Carroll era. It’s also possible they’ll see his redemption story at Mississippi State and now the need to battle back from a torn ACL as a challenge of character that carries some appeal. This is a guy who has faced a deal of adversity (some self-inflicted). How he deals with that over the coming months could determine whether the Seahawks are willing to spend their first pick on him to spend a year in recovery. Here’s the other side to this though. Teams intending to contend will see their first pick as an opportunity to add impact. The Seahawks are not miles behind the top teams in the NFL — but they are behind. They’ll want to close the gap in 2019. Not wait until 2020. Alternatively a team like the Rams will see a window of opportunity closing in 12 months once they’ve been forced to pay mega-money to Jared Goff, Aaron Donald and Todd Gurley. Are they going to want to wait a whole year for their top 2019 pick to take the field? Or are they going to be seeking impact? Whether you’re at the pinnacle or aiming to reach it — Simmons isn’t helping you for a long time. For that reason, the team that maybe takes him is a side in the midst of a rebuilding operation. Would the Raiders, for example, be willing to use one of their many high picks to ‘stash’ Simmons — knowing they’re unlikely to be an AFC contender in 2019? Will the Dolphins consider drafting him? Recent reports suggest they’re willing to use this year to rebuild. You may ask — haven’t you been suggesting the Seahawks might take a quarterback early? Where’s the impact there? Fair question. However — preparing for a possible contract impasse with Russell Wilson is simply smart planning at the most important position in the sport. It’s not particularly comparable. The idea of a healthy Jeffery Simmons playing in Seattle is attractive. 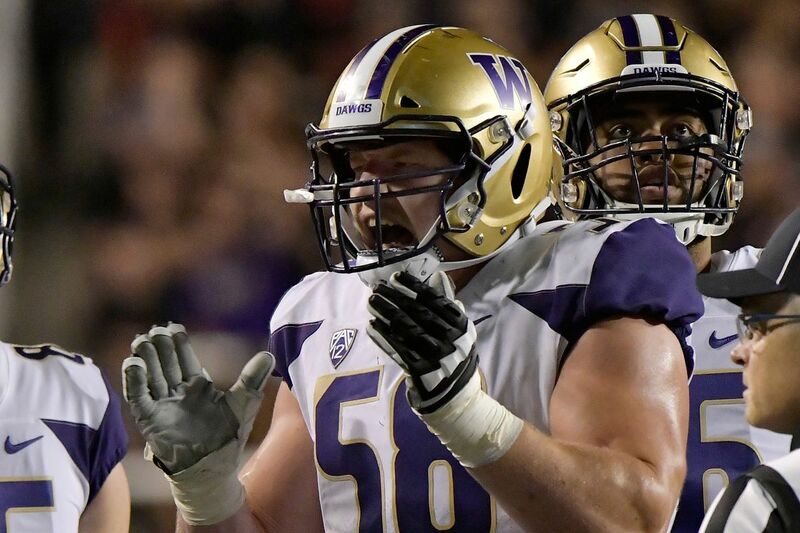 Considering what they’ve done in their previous nine drafts, however, and with a need to try and catch the Rams in the NFC West — I suspect the Seahawks will prefer to draft someone who has a chance to play a role immediately. I believe the Cardinals should strongly consider taking Murray with the top pick. Yes, they drafted Josh Rosen a year ago. Is anyone convinced he’s the answer? Is he launching the comeback for Arizona? Is he leading you back to the playoffs? They need to find a star. Until you find him, you keep looking. It’s not often you own the #1 overall pick. Make use of it. Draft the best player at the most important position. Take Murray and let him compete with Rosen. You can always trade a player down the line. They just hired a coach who thought Murray should be the #1 pick a few months ago. Let them work together. Let your new offensive-minded coach find his guy. On the Raiders — Jon Gruden is making big changes. He doesn’t seem sold on Derek Carr. The New York Giants might be willing to make a deal for a starter who won’t have growing pains like a rookie. They want to win now. The Raiders want picks. It’s plausible they make a deal involving #6 overall. That would leave Gruden to add a vastly experienced quarterback to lead his offense. Joe Flacco and Nick Foles are prime candidates here. My money would be on Flacco. One other quick note. Adam Schefter is reporting that Jeffrey Simmons tore his ACL during training. I’m not sure how this will affect his stock. For now I’m keeping him in the top-15. This could have an impact though. Murray is better than Josh Rosen. Trade Rosen or let them compete. The Jags cut Bortles and then draft Haskins as the future. The Raiders grab a dominant interior pass rusher. The Giants spend this pick on Carr, enabling the Raiders to draft a top edge rusher. He needs to get stronger or he’ll be a liability on early downs. A genuine top-10 talent with great character and athleticism. Apparently John Elways is enamoured with Lock’s potential. The Bengals won’t have any issue drafting Simmons. White is fast and physical and provides value here. The Packers move up to get a much needed pass rusher. Williams will likely move inside to guard or center. The Texans address their biggest need in round one. Antonio’s cousin could play the DeSean Jackson role. The Raiders add two big targets for their new quarterback (Flacco or Foles). Campbell would be a fine playmaker in New England. The Niners will clearly want to move down. If someone likes Dwayne Haskins or Kyler Murray enough, they’ll make a deal. In this scenario the Jags sign a veteran quarterback and then draft a longer term heir. The Giants want to win now and see the 27-year-old Carr as a better shot to do that than grooming a rookie. Jon Gruden appears lukewarm on Carr. He makes the trade and then brings in a veteran like Joe Flacco or Nick Foles. The Packers and Seahawks made a deal a year ago and history repeats here. Green Bay has a need at tackle and defensive end. They address both needs in this mock. The Seahawks are almost certain to trade down from #21. Trading down from #21 to #30 and then from #30 to #40 would enable them to acquire several picks to add to the measly four they currently own. They could get a third rounder for swapping picks with the Packers and then a further 4th + 5th for trading with the Bills. That would give the Seahawks three new picks in the middle rounds. That seems like a plausible target for moving down 19 spots. What they actually do with their first pick is hard to determine. We need a combine and free agency to gain further information. Pete Carroll says they don’t have any big needs and I believe him. I think this is a wide open situation. And while adding to the pass rush will likely be a priority — it might be something they can do in the middle rounds this year (L.J. Collier?) and/or free agency. So it doesn’t necessarily have to be their top pick. I think the pending Russell Wilson contract saga makes quarterback a strong consideration, in particular Will Grier (a sound fit given his ability to throw deep). Terry McLaurin (WR, Ohio State) is still on the board and fits the kind of receiver they’ve looked at in the past. There are still several athletic defensive linemen available including Dre’Mont Jones (DT, Ohio State) and Renell Wren (DT, Arizona State). There are several appealing offensive line options remaining. There’s little reason to rule anything out at this stage. The Seahawks will have options. The combine will provide vital information on who they might like. Free agency will give us a steer on the position they might target.